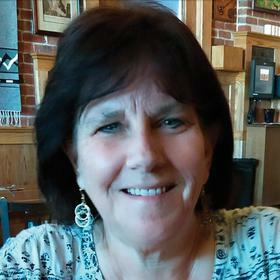 Christine Renee (Slotman) Haas, 64, passed away October 30, 2018 in Plainwell, MI surrounded by her family. Christine was born October 3, 1954 in Sturgis, MI to Roger and Constance (Forshey) Borgert. Christine is survived by her loving husband Jeffrey Haas (Plainwell, MI) mother Contance Borgert (Las Vegas, NV) sister Karla (Keith) Yetzke (Pullman, MI) brother Dean Borgert (Las Vegas, NV) daughter Heather Baker (Plainwell, MI) son Joshua Slotman (Otsego, MI) grandchildren Brodie and Caitlin, nephew Shane, niece Arista, great nephews Corey and Hunter and honorary grandchildren Derek, Mai and Teresa and many wonderful friends who are considered family as well. Chris was preceded in death by father Roger Borgert (Las Vegas, NV) sister Kimalee Borgert (Portage, MI) and grandpuppy Connie. Chris wore many hats, her passion was volunteering in addition to her work at Ransom District Library and William Crispe Community House. Chris loved Plainwell and served on the Planning Commission as well as organizing many events over the years including the Christmas and Memorial Day parades. Please join us as we celebrate the life of this special lady November 8, 2018 at the Marshall & Gren Chapel of the McCowen & Secord funeral home; 120 S. Woodhams St. Plainwell, MI 49080. Visitation will be held at 1pm with memorial service following at 2pm. Chris asks that in lieu of flowers to let your loved ones know what they mean to you, laugh until it hurts, give second chances, love unconditionally and give your time to a cause you feel passionate about. Please visit Christine’s memory page at mccowensecord.com.